Turn into Jalan Maarof from Jalan Bangsar before the Bangsar LRT station. Keep going straight and take the first left after the Jalan Ara turn in into Jalan Bangkung. Go straight until you see a shop lot on your left, Midi 57 is at the corner beside the dental clinic and under Baliayu. 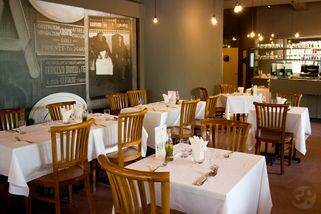 Midi 57 is a bistro nestled at a corner lot in Bukit Bandaraya, Bangsar. With plenty of al fresco seats, accommodating hours and an overall warm ambience Midi 57 is fast becoming a choice gathering spot for patrons to chill after work with friends, drinks, good food and having a great time. 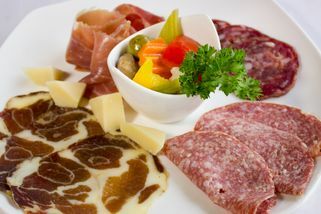 Unlike its sister outlet Le Midi, Midi 57 is a more modest hub, serving popular Italian fare like pizza, pasta, wraps and more. 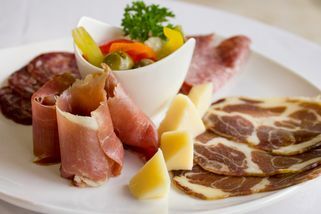 Customers who expect common variations of the food will be surprised; the ingredients used for their dishes here are atypical, giving each traditional dish a fresh and interesting outlook. 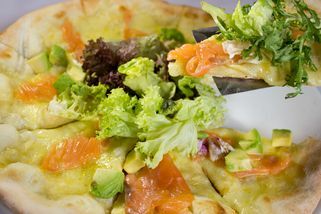 Take for example the Salmone Pizza - cream, mozzarella, smoked salmon and avocado, oven baked and topped with a salad. For families with kids, Midi 57 offers kids’ versions of their entries, which are half the adult portion and half the price. Have you ever walked into a restaurant with no expectations, and walked out feeling like you've discovered a diamond in the rough? Midi 57 was such a place. The food was good, but the thing that floored me was the amazing service. 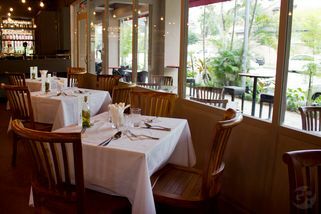 The waiters were very attentive while being discreet, and they offered bread starters even though we ordered just drinks, no food. We were so delighted we decided to eat dinner instead of moving along. The place is quiet and I have no idea if they are doing well. But for showing excellent service (especially in Malaysia! ), I think they deserve to have more business. 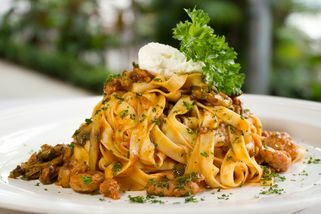 "Pasta, pizza, panna cotta...everything was great!!" What more can I say? All sinfully delicious, with unique touches in flavour. Not my usual expectation of Italian food, so its a fresh experience. Service was good and staffs were friendly too! The interioir deco is casual, warm and cozy, with soft music. But when we were there, we were a noisy big bunch, and there was another similar group opposite of us too, so it wasn't quite the romantic atmosphere if that's what you'd aspect. Still, my friends and I had a great time there and would recommend that for chats and friendly gatherings. Pleasantly surprised with the service. We had a birthday dinner for a friend and the waiter was attentive and joked with us. 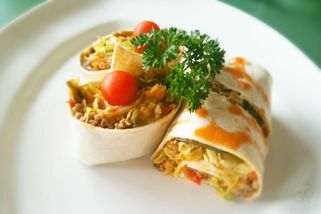 The food was good too, the wraps especially. I had the seabass which was not overcooked and not overflavoured (seems in Malaysia the trend is for most restaurants to err on the cautious side, which simply means the chef is no good). Tiramisu and Pana Cotta were also very good. Would definitely recommend this over the other ahem neighbours. The place is be outshined by the veterans in the same block but the food here is pretty decent. Their pizza is made to order oven baked wholesome goodness. The chef I read is Italian so you know the food is authentic. Their panna cotta was one of the most delightful ones I've had in a while. Wish it was a few ringgit cheaper so I can come back for it more often.